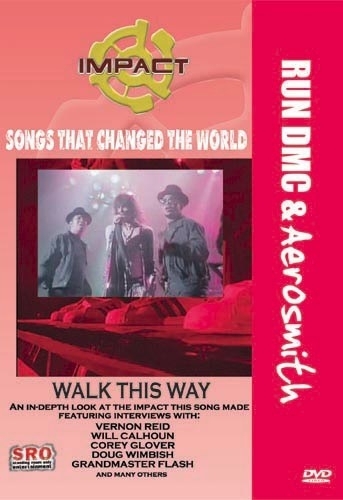 From the Impact Series, Songs That Changed The World - featuring Run DMC & Aerosmith: Walk This Way became the original rap/heavy metal video crossover song. 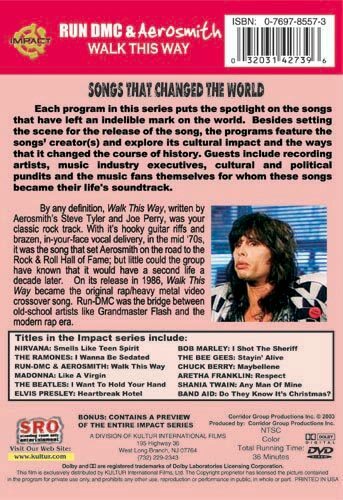 By any definition, Walk This Way, written by Aerosmith’s Steve Tyler and Joe Perry, was your classic rock track. With it’s hooky guitar riffs and brazen, in-your-face vocal delivery, in the mid ‘70s, it was the song that set Aerosmith on the road to the Rock & Roll Hall of Fame; but little could the group have known that it would have a second life a decade later. On its release in 1986, Walk This Way become the original rap/heavy metal video crossover song. Run-DMC was the bridge between old-school artists like Grandmaster Flash and the modern rap era. With their gold chains and Adidas, they were the first rappers to earn gold, platinum, and multi-platinum albums; the first to have their videos played on MTV; the first to appear on American Bandstand; and the first to grace the cover of Rolling Stone.